Far Cry: New Dawn follows the same formula of its predecessors by combining exploration and adventure inside an open world that needs to be liberated from a band of tyrants. Hence, the latest installment will feel pretty familiar to those who have kept in touch with the long-running franchise. 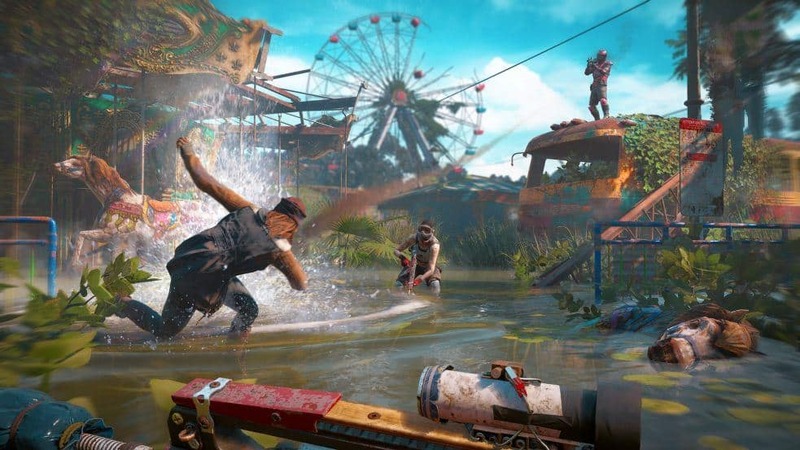 However, even then, there is a clear indication that Ubisoft has tried to evolve with Far Cry: New Dawn in certain niches. 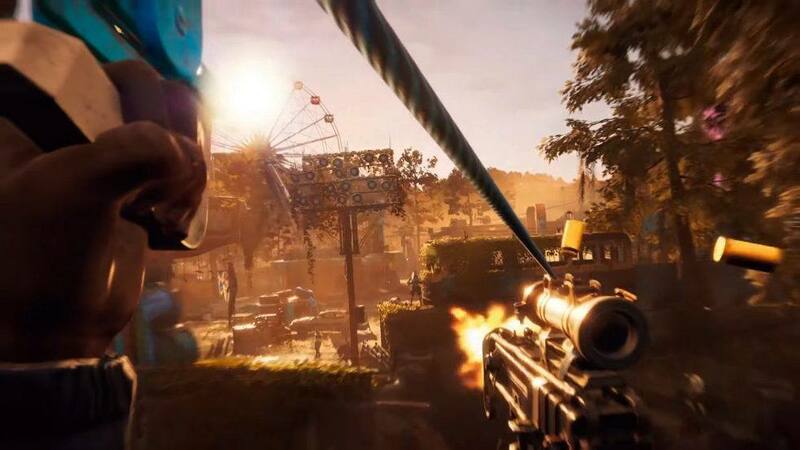 The only problem is that the evolutionary phase has somehow shouldered the one thing that games like Far Cry: New Dawn desperately need — a staunch narrative. Carmina, your very first companion in the game. 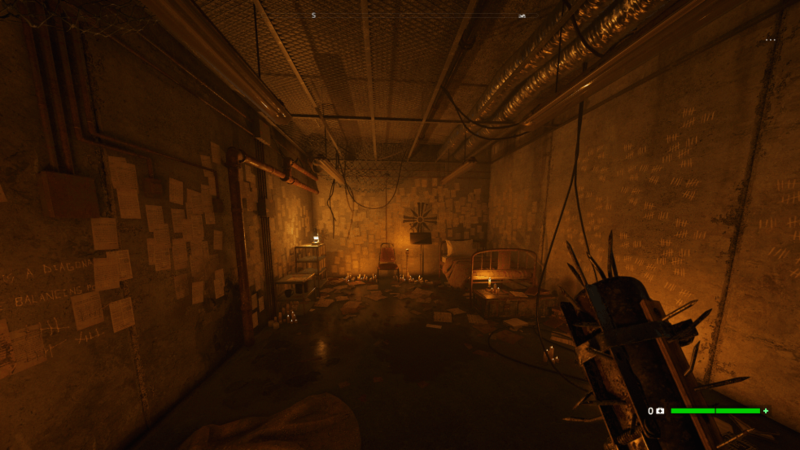 Joseph Seed's bunker from Far Cry 5. The post-apocalyptic version of Hope County is possibly the prettiest setting to date in the franchise. The world will naturally pull you into its lush fields, thick forests, looming mountain ranges, underwater caverns, rusty bunkers, half-buried settlements, and everything else under a beautiful sky-box before you start wondering about the storyline. Far Cry is expected to have a psychotic villain. 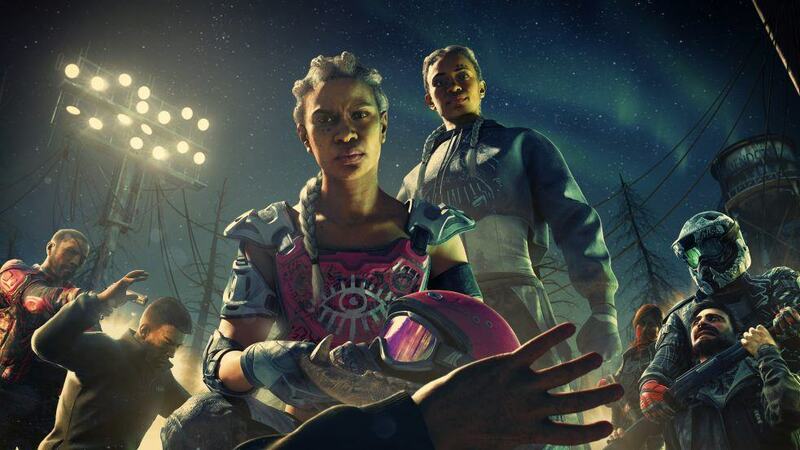 Far Cry: New Dawn has two of them but they almost never show themselves in the starting chapters. Their only presence is in the form of threats over the radio and in letters left behind. This element swings both ways. There is just so much to see and do that you might possibly give it a pass. However, those looking forward to a new Vaas Montenegro are likely to be feel detached. No one is going to tell you the definition of insanity, at least not in the initial ten or so hours of progress. You play an unnamed protagonist who is only recognized by his rank as a security captain to Thomas Rush, a revered hero who helps rebuild communities. This is where the walls of Prosperity open up. The settlement is your newfound home and a refuge for locals who are trying to get away from the Highwaymen, a nationwide gang of marauders led by the twin sisters Mickey and Lou. Rush is the one who stays behind to oversee operations, leaving you to scour the outdoors for anything and anyone to further expand and build Prosperity. Getting your base up and running is core to the experience. Prosperity contains several facilities that give different benefits such as crafting weapons, vehicles, explosives, treasure maps, and such. While finding and bringing back specialists will help further improve those facilities, everything depends upon ethanol. The rare resource is what the Highwaymen are always after and the only way to obtain some for yourself is to take over their outposts. This liberation element returns in Far Cry: New Dawn but with a pretty laudable twist. You can take over an outpost up to three times by scavenging it to produce more ethanol but giving back control to the Highwaymen in return. Every liberation increases the difficulty levels with the outpost becoming more fortified with more challenging enemies. This replay value does not overly feel like a grind because you will mostly be unable to match the higher tier enemies with lower tier weapons. There is a balance to gameplay. You just have to continue adventuring and only return once you are finally ready. The other new feature to extend longevity is the introduction of expeditions. They are a series of incursions that take place outside of Hope County and yield rare loot for the continued improvements of Prosperity. Every expedition begins by dropping you off outside of a closed-world location. Your task is to gear up, infiltrate the compound, loot a designated package, and get out. This is easier said than done because while you can opt for stealth at the beginning, picking up the package automatically activates a GPS sensor that attracts an endless wave of enemies. 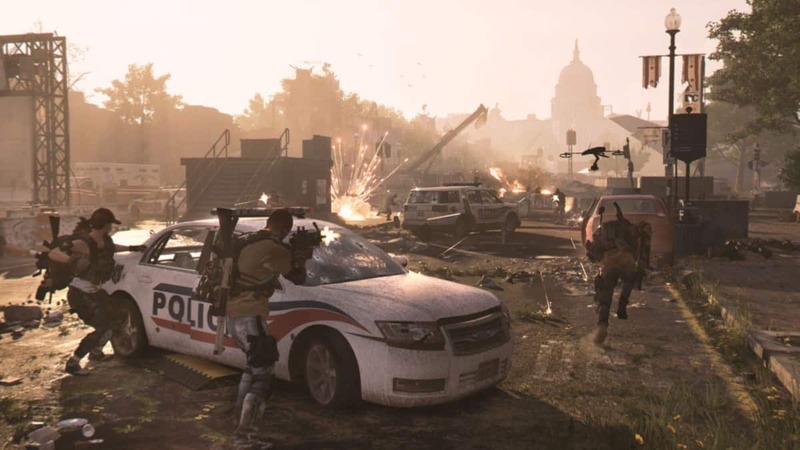 The action-packed situation becomes even more brutal when you have to hold out at the extraction point until the helicopter arrives. Expeditions are probably one of the best additions to the franchise. It is not just about the loot, which you can obtain from anywhere in Hope County — circuit boards are pretty rare though. 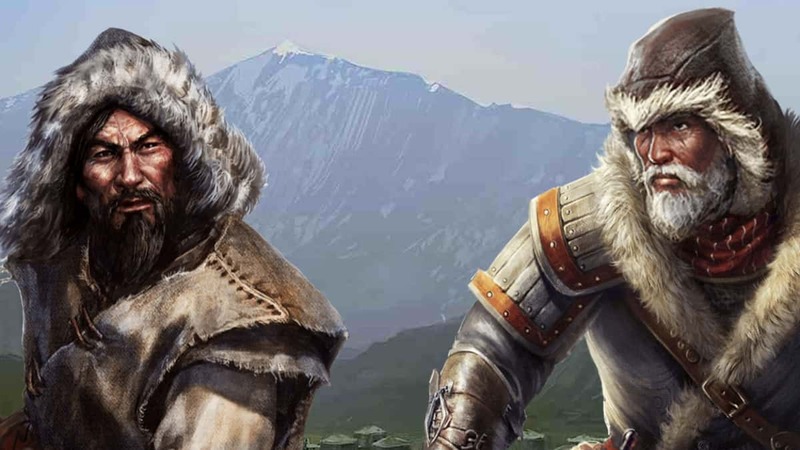 It is about overcoming a new challenge to get a leg up on the Highwaymen, or you could treat expeditions as end-game content after you have cleared the main campaign. Far Cry: New Dawn also adds a few quality-of-life improvements to the old systems. The number of Perks are far lesser than before, with many being palmed off to different facilities at your home base, making it easier and cleaner for you to unlock the Perks you want fairly quickly. There are also fewer companions this time around but each comes with an additional ability, and they all can be recruited easily by completing their respective side missions. Unlike Boomer, Timber actually rides with you on the passenger seat in Far Cry: New Dawn. ... to this epic transformation. The weapons category, however, has in a way been overhauled. There are now four color coded tiers starting from a basic grey to a golden elite. Some weapons are exclusive to a tier, while others are found repeatedly in each but in an upgraded form. The starting tier bow, for example, is made out of a tree branch but the golden version out of carbon fiber. The color coding extends to the enemies as well. Hence, you will be signing your death warrant when trying to face a golden elite Enforcer with a rickety grey rifle. Your bullets will not even penetrate their armor. That being said, you will not be purely limited to the weapons you can craft. There will always be plenty of weapons to pick up from fallen enemies. The three crafting bundles you can choose from. If you want to take out your wallet. Far Cry: New Dawn unsurprisingly also brings back microtransactions. You can purchase bundles of assorted crafting materials through Far Cry Credits with real-world currency. However, they are not disruptive because the overall economy is pretty generous. In fact, certain missions will actually reward you with Far Cry Credits to spend on some of the premium cosmetic options. In the end, Far Cry: New Dawn features a finely tuned open-world that is beaming with life and death. This is as good as it gets in the franchise, provided that you are willing to give a pass to the storyline. The end-game opportunities are something to consider, particularly when going off on expeditions with the cooperative mode and being able to level up some of the final weapons as long as you have enough ethanol. Those who have been on a hiatus because of feeling burned are promised a refreshing experience. 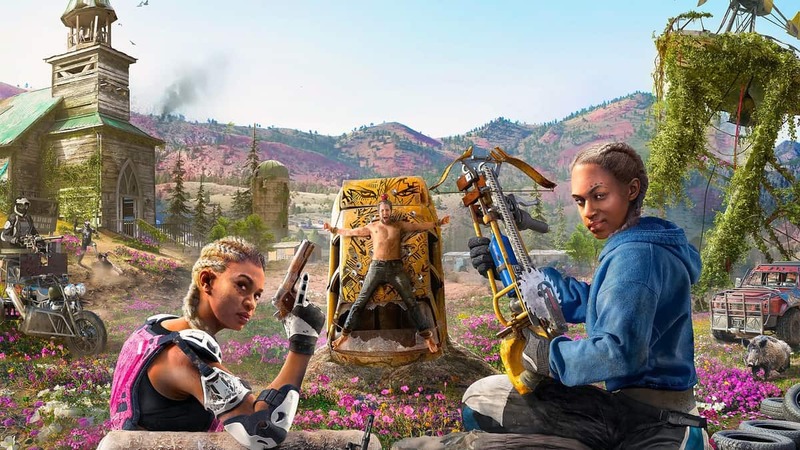 Far Cry: New Dawn was reviewed on PC using a digital download code provided by Ubisoft. Far Cry: New Dawn features a finely tuned open-world that is beaming with life and death. This is as good as it gets in the franchise, provided that you are willing to give a pass to the storyline.